We have been exploring the cool new Dynamics 365 v9.0 quite a lot in the recent times. 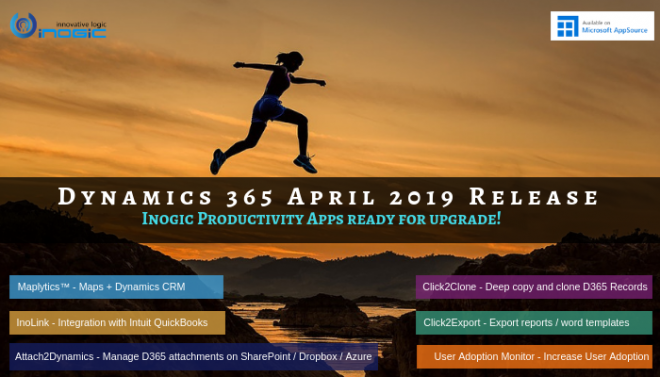 And quite often this question has been asked so a blog would be the perfect place to announce that yes your favorite Inogic Dynamics CRM apps are now compatible with the new Dynamics 365 CRM v9.0. Have you checked them lately? We have been adding quite a lot of new user friendly features and trying to be a little more extra productive each time. We have had two major releases last year in Jan 2017 and August 2017 and started the new year with a new Jan 2018 release. With the Jan 2018 release, our core focus was to utilize the Unified Interface framework and the capabilities it opened up for mobile and tablet client. And we are happy to announce that Maplytics, your favorite Maps Integration with Dynamics CRM now supports the cool new Dynamics 365 v9 and also works within its new mobile and tablet app. Download latest version of your free trial for Dynamics 365 Customer Engagement v9.0 today from our website or Microsoft AppSource! We have already locked our calendars and would be exhibiting at Summit EMEA (Find us at Booth # H2) at Dublin, Ireland and CRM UG Summit at Phoenix ! We look forward to meet you in person there! 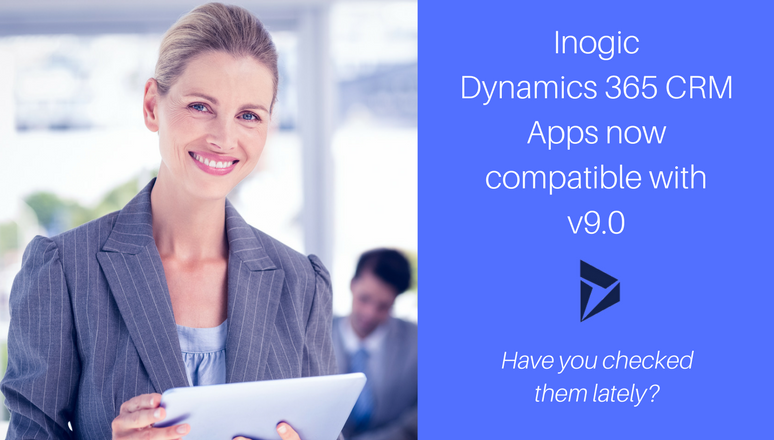 To try InoLink with your Dynamics 365 v9.0 Download 15 days free trial from our website! Click2Clone is a productivity add-on for Dynamics 365 Customer Engagement/CRM that helps you to clone records in just one click. With the recent release of Click2Clone, we have tried to make it even more powerful with the new features like; Hierarchical Relationship Cloning, Cloning Dynamics CRM records using Workflows, Prefix & Suffix configuration for cloned Dynamics CRM records. Get your free trial of Click2Clone today and experience the power of automation within Dynamics 365! Click2Export is a productivity add-on for Dynamics 365 that helps you export Dynamics 365/CRM reports to widely used file formats like PDF, Excel or Word in a single click and further attach to an email or note. To give it a try download a free trial from our website or Microsoft AppSource. User Adoption Monitor is a productivity add-on designed to improve the user adoption of Dynamics 365 by tracking and reviewing the actions performed by users in Dynamics CRM. We have recently added a small feature in User Adoption monitor which enables manager to track CRM Access of user by tracking various web activities performed by them in the CRM manually. To try User Adoption Monitor with your Dynamics 365 v9.0 Download 15 days free trial from our website or try form AppSource! We always like to work on newer technologies so whenever you need us for anything in Dynamics CRM be it integration, migration or development. We are an email away at crm@inogic.com.